Want to expand your reach with insightful copy that both educates and converts sales? We’ll help you refine your message and create content that engages and persuades, so you turn readers into prospects and prospects into clients. Every brand has a story. Are you telling yours in a way that connects with customers? Our content fuels brand growth. Our results are measurable: our team of content strategists, copywriters, and editors will deliver on-point content, on time. Together, we’ll strengthen awareness of your brand and of your role in the marketplace. And we go beyond writing: if you’ve written something yourself but it’s not quite working, or if you want another set of eyes to give your piece a hard review, we can provide comprehensive edits and suggestions for improvement. 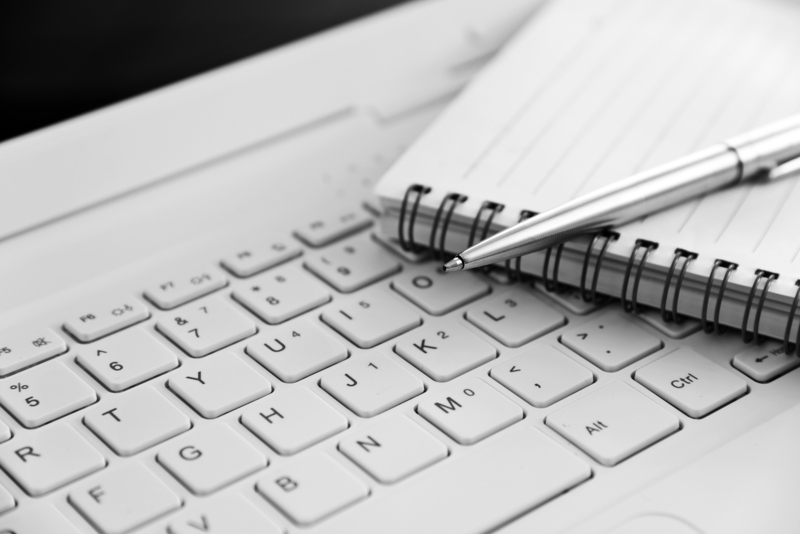 As a professional services organization, shouldn’t your writers be professionals too? Don’t settle for content farms or writers that don’t understand your world. Scribe writers are the best in the business. We’ll assign a writer with insight into your vertical and maintain best practices for digital marketing and search engine optimization. Our onboarding process ensures that we develop the insight we need to step into your shoes as we draft copy. We meet with your stakeholders to learn more about your business, value proposition, and unique voice. Your content will sound like you, not like everyone else on the web. To build a following and become a thought leader in your industry, your brand needs to publish early and often on trending topics. Our team researches the latest and greatest news in your industry so your content is always timely and relevant. And our thought leadership is genuinely thoughtful, incorporating analogies and examples that bring your ideas to life. But one-and-done content—no matter how brilliant—is no way to build an audience. Instead, consistently publishing strong content is the key to creating a dedicated following and an organic search engine presence. We’ll help you develop content calendars and schedule your publications so you never miss a beat. Scribe also works with clients to build a stable of appropriate topics for educational evergreen pieces that deliver over and over on their ROI. As lawyers ourselves, we also stay on top of case law developments, alerting our clients to cases that are ripe for insights in their markets. Your prominence within your industry largely depends on your reputation for knowledgeable insight. Scribe delivers white papers and eBooks that build your credibility by demonstrating your expertise—which can help you generate leads for prospective clients. We will collaborate with your subject-matter experts to analyze the topics that will best penetrate your target audience. From there, we can conduct in-depth research and data collection and create a compelling content-marketing asset. Or we can take it to the next level, adding visual storytelling components that will make your key points digestible, even with the most complex topics. We can also craft custom landing page copy and calls to action for gating your content and building your email list. The quality of your web content has a ripple effect on your business. After all, your website is a reflection of your work ethic and your approach to your profession. Do it right, and sales multiply. But do it wrong, and your prospect funnel dwindles. Our bench of experienced legal content writers can speak in compelling, yet industry-savvy, language to the sophisticated audiences of professional services firms. Professional doesn’t mean stuffy: we balance the trifecta of presenting the right substance in the style that will speak to your clientele and with a tone that reflects your organization. Printed and online marketing materials are often cobbled together from existing sources—and often thrown together at the last minute before a pitch. Take a proactive approach to your marketing: bring in Scribe to refine your approach to business development, improving your first impression. We also help law firms and other professionals draft biographies and descriptions of their work that help them stand out and forge real connections with prospective customers. Email newsletters are still an undervalued form of outreach and education for current and prospective clients. We can help you remain top of mind with your audience and encourage prospects to continue proceeding down your sales funnel. Newsletters blend the best of thought leadership with content curation: they afford a unique opportunity for clients to learn more about your services and products while helping you measure and improve subscriber demographics and audience engagement.